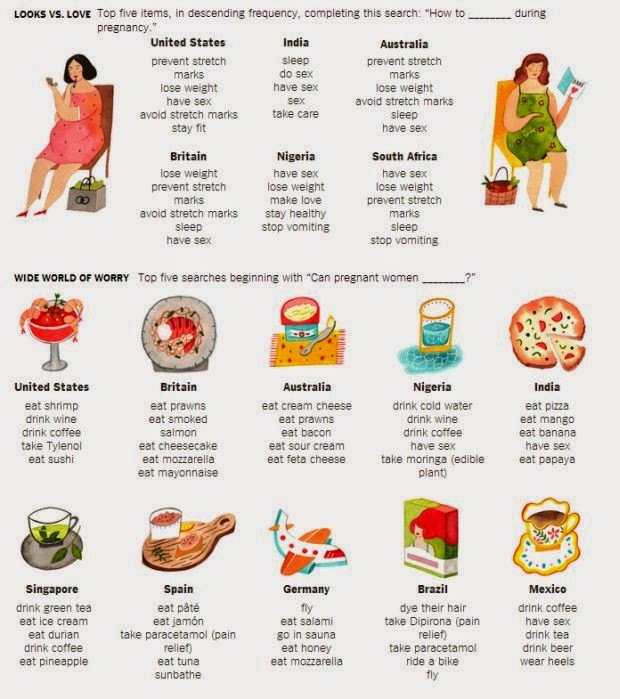 The Rational Helper: What Does Pregnant Women Search (worldwide)? What Does Pregnant Women Search (worldwide)? Google queries indicate that pregnant women around the world tend to crave many of the same things: ice, salt, sweets, spicy foods. But searches (by anyone, men or women) also find differences among countries about pregnancy-related concerns.See the image below for detail.